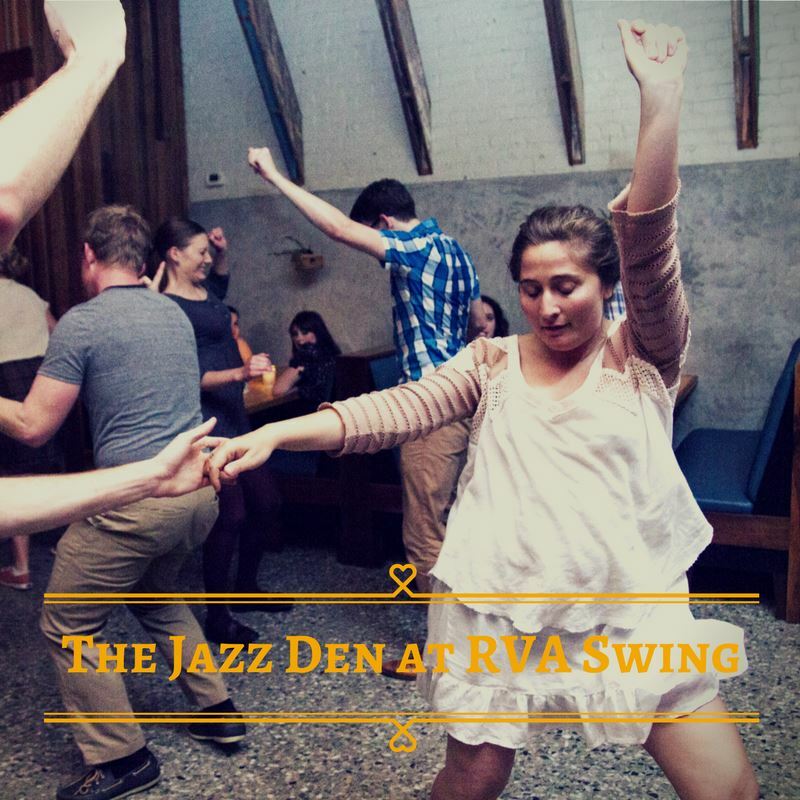 RVA Swing: Lindy Hop and Swing Dance in Richmond, VA.
Advance online or in-studio registration is strongly suggested for all RVA Swing class series. 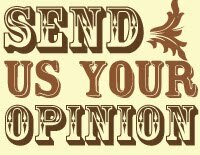 Unless specifically labeled a "drop-in" class, single class drop-ins are not allowed without advance permission from the studio or instructor. 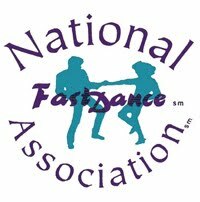 Learn a fun and easy jazz routine! No jazz experience needed and all levels are welcome. 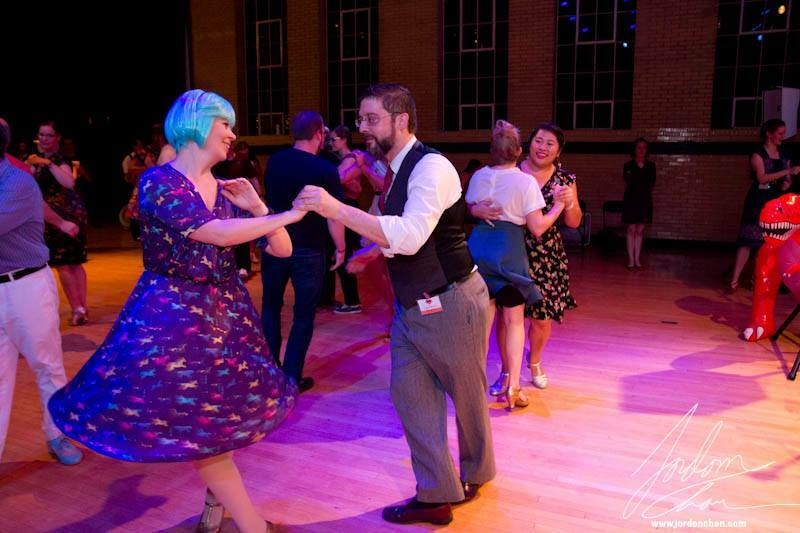 Intro to Swing Dancing: Lindy Hop Just added! 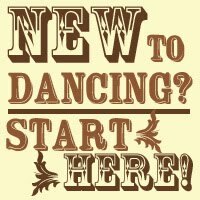 Pre-requisites: completed an RVA Swing Intro to Swing:Lindy Hop unit and/or can correctly demonstrate all of the following: 6 & 8 count footwork with triples, outside/inside turns, side passes, swingouts, lindy circles. 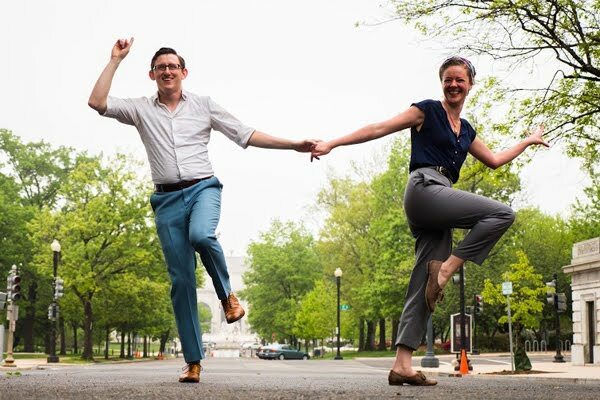 Pre-requisites: completed at least one RVA Swing Level 2 Lindy Hop course and/or can correctly demonstrate all of the following: 6 & 8 count footwork with triples, outside/inside turns, tuck turns, side passes, swingouts, lindy circles, basic Charleston etc. Topics & instructors change monthly so that you'll learn new things in every Level 3 series. 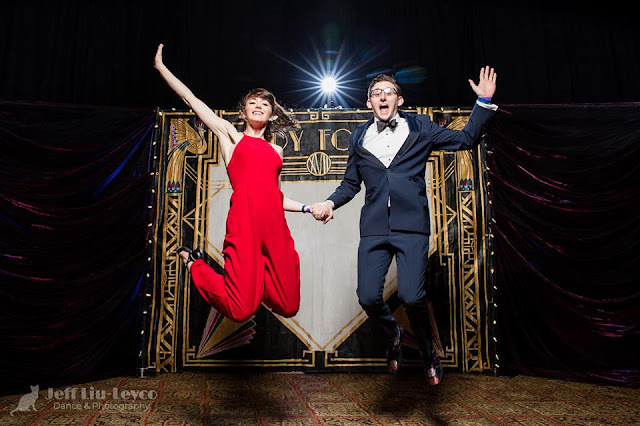 For May, Cate Rauschenberger & Dave Barry will take the helm of this lindy hop ship! Take your Mom (or the mother of your children) out for a special evening! Enjoy light refreshments and festive beverages before and after this 1-hour couples-only class. Looking for the schedule of classes currently in session? You can find it on our complete class schedule page. Registered students can consult their Registration Confirmation email for specific class dates for their series. If the class series you want is already full for your role, please make sure to join the wait-list via the link on each class page. We often have last-minute cancellations, which will go to the first person on the wait-list.